Health and body changes are natural with aging, and many seniors will experience these adjustments during their retirement lifestyles. Loss of sense of smell is a particularly common issue among older adults. In fact, according to the National Institute on Aging, nearly 25 percent of men between the ages of 60 and 69 experience some type of smell disorder. About 11 percent of women in that same age group have similar conditions. "Install a smoke alarm in every bedroom and each level." One of the first ways people detect a fire is by smelling the smoke. For seniors who experience problems with their sense of smell, they may be left without this crucial line of defense. Though every home should be supplied with the proper safety equipment, it's especially important for seniors to have functioning smoke detectors. The National Fire Protection Association recommends installing a smoke alarm in every bedroom and on each level of the home. Additionally, the devices should be tested at least once a month. This process may involve climbing up and down a ladder, which can pose other safety risks. Seniors should call on an able-bodied family member or the housekeeping services in their retirement living communities for assistance. We frequently use our sense of smell to determine if food has gone bad, especially when the appearance of it doesn't change. For example, while you may be able to visually spot mold on bread and cheese, you can't always tell if milk has spoiled unless you smell it. Eating or drinking expired products can make anyone sick, but consuming bad food is especially detrimental to seniors. As we age, our immune systems weaken, so it becomes harder for seniors' bodies to fight off bacteria, such as those found in spoiled food. Seniors can make up for their diminished sense of smell by paying careful attention to expiration dates. Older adults, especially those in independent senior living communities who have their own kitchens, may also benefit from going through the refrigerator once a week and tossing out any items that have expired. This reduces the risk of accidentally eating something that has gone bad. Seniors can also opt to eat meals at the community dining room. Not only is this choice delicious, seniors can also rest assured they are eating well-prepared food that won't make them sick. 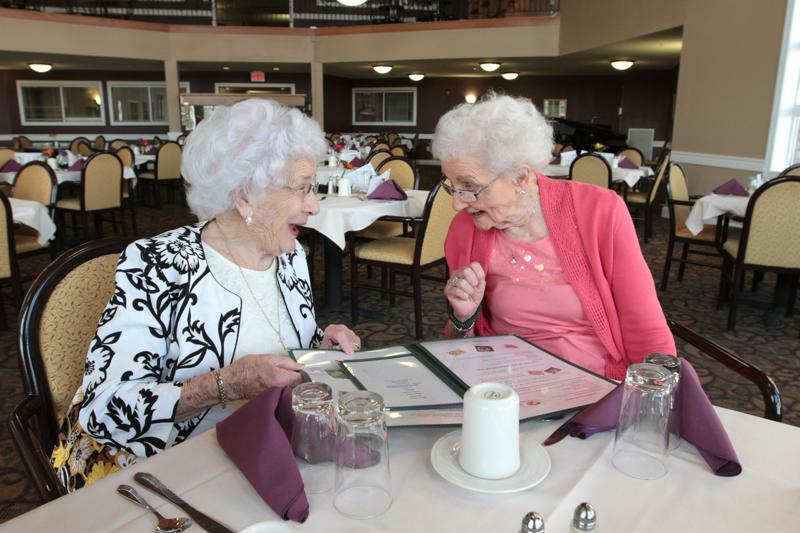 Seniors can eat with their friends in the community dining room. When their sense of smell is reduced, many seniors lose their appetite. Unintentional weight loss is already a common ailment among this age group, and this condition doesn't help. After all, smell and taste are closely related, and together, they make diving into our favorite foods so much more enjoyable. It's important that seniors maintain a healthy diet, even if the foods aren't as tasty. They should get plenty of fruits, vegetables and whole grains throughout the day and be sure to eat the appropriate number of calories. Some seniors will try to enhance the flavor of foods with salt, sugar and other spices to compensate for their lack of smell. This can be damaging to their health, especially for those with diabetes and high blood pressure. Seniors can get more flavor in a healthy way by browning, caramelizing or roasting their food. Natural aging or something more serious? Losing some level of your sense of smell is fairly common, especially after age 60. However, just because it's a typical issue for seniors doesn't mean it should be dismissed as a natural part of aging. In fact, losing one's sense of smell may be a result of other conditions such as Parkinson's or Alzheimer's diseases, dental problems, head injury, certain medications and sinus issues, according to the Mayo Clinic. This change may also lead to depression in seniors. If older adults are experiencing loss of smell, they should speak to their primary care physicians, who can help determine if there is a more serious health problem involved. Make sure your senior loved ones are adjusting their lifestyle accordingly when they experience changes such as losing their sense of smell.